The first meeting between Antonio and Olivia at the Paradise Ballroom is brief, but electric. Years later, on the dawn of World War II, when struggling Italian singer Antonio meets the wife of his wealthy new patron, he recognizes her instantly: it is Olivia, the captivating dance hostess he once encountered in the seedy Paradise Ballroom. Olivia fears Antonio will betray the secrets of her past, but little by little they are drawn together, outsiders in a glittering world to which they do not belong. At last, with conflict looming across Europe, the attraction between them becomes impossible to resist--but when Italy declares war on England, the impact threatens to separate them forever. 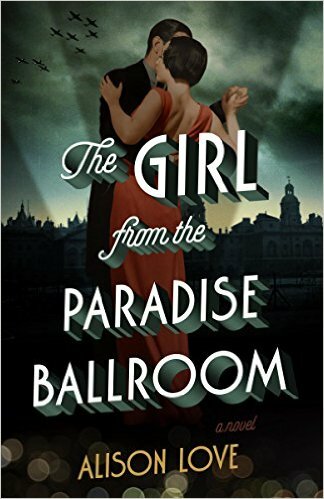 The Girl from the Paradise Ballroom is a story of forbidden love and family loyalties amid the most devastating war in human history. It is the eve of World War II. While at the Paradise Ballroom, Olivia meets a handsome young Italian man named Antonio. Almost immediately he learns her secret, but keeps it to himself. Besides, he has secrets of his own - he is married and male members of Antonio's family have pledged their loyalty to Mussolini's Fascist Party. Their lives entwine which provides much conflict for an intriguing plot. This is a family saga with several romances weaved into the plot. I especially enjoyed the setting and era, which was shortly before World War II. Each character affects other characters, and they were all well drawn and believable. This was a memorable story with plenty of emotion throughout. A nice book to cozy up with and very recommended!